Former National Criterium champion Graham Briggs will return to Rapha Condor JLT following two years riding for Team Raleigh. The 30-year-old spent three seasons with Rapha Condor Sharp between 2008-2011 and decided that a return to John Herety’s team would be the best move for 2014. Alongside the likes of Ed Clancy and Felix English, Briggs’ arrival should herald a fearsome line-up for the crits. Briggs said he also hopes to use his experience and play a part in the development of the young riders on the team. 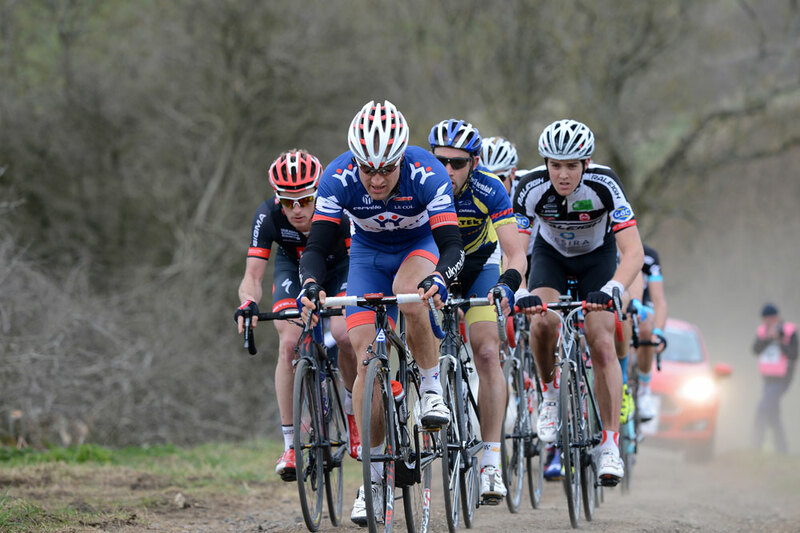 To mark the tenth edition of the Rutland-Melton CiCLE Classic, the 2014 event will feature a full Junior Men’s race. The new 92-kilometre event will be staged on the same day as the elite race (Sunday April 27), but will cover an entirely different route, including off road sectors. Full details are yet to be formalised, but plans include the new race starting and finishing in the town centre of Oakham. 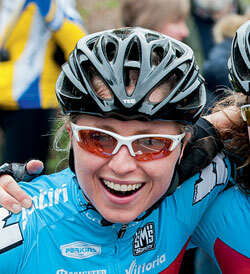 Organisers have requested for the junior race to be included in British Cycling’s National Junior Road Series for 2014. The elite race has retained its UCI 1.2 category status and was won in 2013 by Ian Wilkinson (below) of Team UK Youth. The AnaNichoola VeloJam, the only women’s track event in the country to include categorised racing, will be held at Herne Hill Velodrome tomorrow [Saturday 5]. The inaugural edition took place in 2012 and this year racing will take place under the velodrome’s new floodlights and offers free entry to spectators. Over £1000 in cash prizes will be available on the night, as well as other product prizes up for grabs. There will be events for every lady all the way up from non-licence holding Go Riders to A category professional riders. The Madison will be a mixed pairs race, and last-minute entries from men for this event are encouraged. Entries are £15 in advance and £20 on the day. To enter and for more details of the event, click here. Tickets are now on sale for the Scottish Cycling National Track Championships which take place at the Sir Chris Hoy Velodrome this month (October 11-13 and October 27). Many of the Scottish performance athletes will be looking to set qualification standards for next year’s Commonwealth Games, which will be held in the same arena. Craig Burn, chief executive of Scottish Cycling, hopes that the next generation of Scottish cyclists will shine at the event. “We are hoping we might even see the stars of the future begin their winning careers at this year’s championships,” he said. Tickets can be purchased from Glasgow Concert Hall or by calling 0141 353 8000. Prices for adults start from £6. The Pearl Izumi Tour Series will make its debut in the Channel Islands next year as Jersey will host the final round on June 13. The team-based series will take place over ten races during midweek evenings between May 13 and June 13, and once again, highlights will be shown on ITV4 the following evening. National junior road race champion Anna Christian will head up Epic Cycles-Scott Contessa Women’s Racing Team for the 2014 season. The 18-year-old Isle of Man rider has been joined by riders such as Karla Boddy (below) and Hannah Walker after clinching the July event for Scott Contessa Epic RT in North Yorkshire. Christian is one of only two riders to continue with the team as eight changes are made to the 2013 line-up. The team has been incredibly successful since its formation in 2012 and has won races across Europe, including the UK National Team series and numerous medals at the British, European and World Championships. National U14 cyclocross champion Harry Yates is one of four British riders benefiting from Raleigh’s new cyclo-cross rider scheme. The programme has been set up to support young riders and equip them with the latest bike and clothing for the season ahead. Yates is joined by Dylan Kerfoot-Robson, Nick Barnes and Joe Atkins in receiving Raleigh’s state-of-the-art carbon Raleigh RX Race cyclocross bike. Geoff Giddings, Raleigh’s marketing director and former veteran cyclocross champion said the company wanted to make a statement of their intent to make a big impact on the thriving UK cyclocross scene. Giddings added: “Grassroots rider and event support is at the heart of our marketing drive and we were overwhelmed by the number of high quality applicants to our cyclocross scheme. An ultrasound sensor kit enabling people with visual impairments to ride a bicycle is part of a new exhibition at the London Science Museum. The UltraBike unit, which is detachable and fits onto the handlebars of any bike is part of the Antenna gallery display highlighting innovative engineering that transforms lives. The unit’s sensors give the rider constant directional feedback of obstacles ahead and at each side, via vibrating buttons positioned underneath each thumb. Despite their visual impairment, this technology enables cyclists who are blind or visually impaired to negotiate their way safely and independently along a controlled cycle track. Designer Dr Paul Clark commented on how the technology is being developed further and in particular for the use of track riding. For details of the exhibition click here.